A major new website which helps people ditch dairy has been launched by vegan charity Viva!. According to Viva!, it provides 'comprehensive information about the health benefits associated with ditching dairy alongside quick nutritional facts about going dairy-free' as well as videos and reports about the suffering endured by dairy cows and goats. 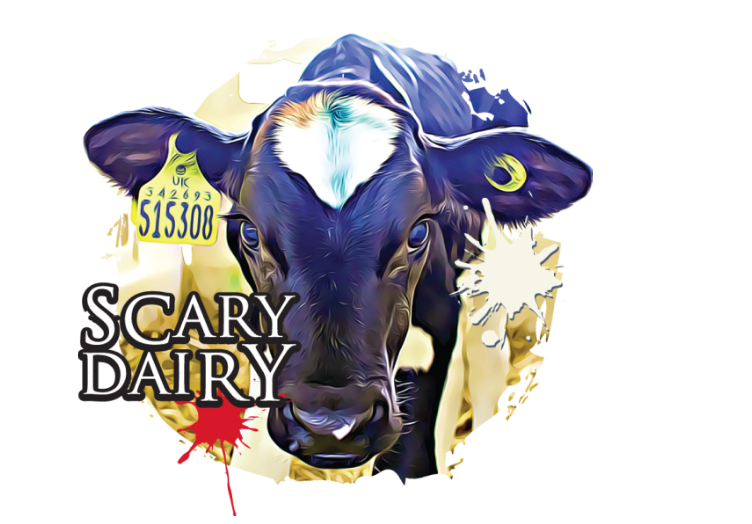 The Scary Dairy site - which also offers advice about sourcing plant-based milk, cheese, ice-cream, and other popular dairy products – is part of Viva! 's yearlong campaign to highlight the dark side of the dairy industry - TRASH. As part of the initiative, the charity has placed large pro-vegan billboards on the UK's busiest motorway for two weeks. In addition, it has produced a YouTube advert (directed by Plant Based News Co-founder Robbie Lockie) in a bid to reach as many people as possible with the message. "Although the public are beginning to open their eyes to the reality of the dairy industry, many people still believe that dairy cows and goats live an idyllic lifestyle," Juliet Gellatley, founder and director of Viva! said in a statement sent to Plant Based News. "Going dairy-free is one of the most natural changes to your diet. Why? Simply because drinking milk past infancy is not what nature intended. We're the only species in the world to do so and what’s more, we consume milk of a different animal. There's so much research on the consequences of consuming milk and dairy products on human health, you have only to scratch the surface to learn the truth. "Our new website is a fantastic resource to teach the public about the practices which are standard across the UK dairy industry. The resources are easily accessible and address many common misconceptions about dairy-free diets. "The purpose of this website is to make it as simple as possible to transition away from dairy and to try plant-based products. With so many alternatives readily available, there has never been a better time to try dairy-free."